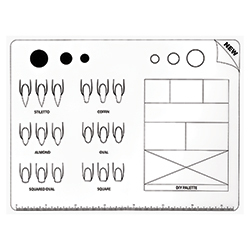 Nail art mat provides the perfect work surface for practicing designs and creating custom decals for a variety of nail shapes. 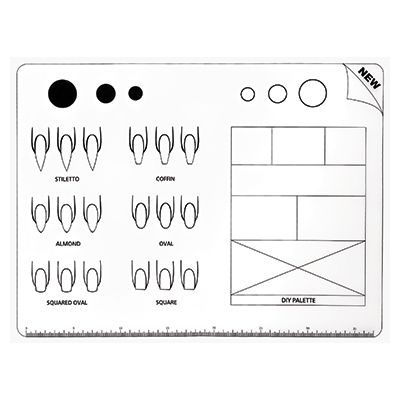 Features 18 nail tip guides, 6 circles for testing color combinations, a DIY palette section, and a ruler. Reusable silicone surface allows for easy cleaning and can be folded or rolled up for storage or travel. Measures 15-1/2"W x 11-3/4"H.